See all 123 properties in Orlando Sanford Intl. 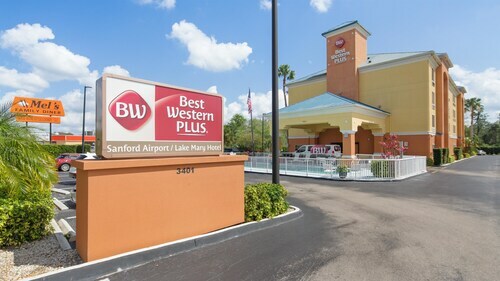 Situated in Sanford, this hotel is within 6 mi (10 km) of Wayne Dench Performing Arts Center, Boombah-Soldiers Creek Park, and Mayfair Country Club. Sanford Museum and Lake Monroe are also within 6 mi (10 km). 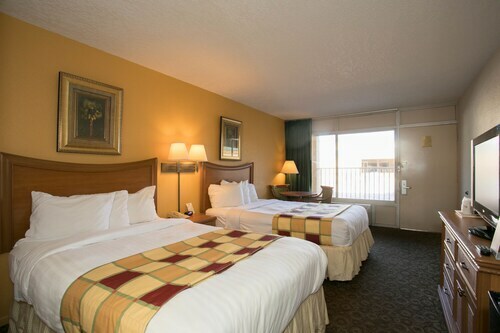 Situated near the airport, this hotel is 3.7 mi (5.9 km) from Mayfair Country Club and within 12 mi (20 km) of Timacuan Golf Club and Central Florida Zoo & Botanical Gardens. Lake Monroe Park is 10.4 mi (16.7 km) away. 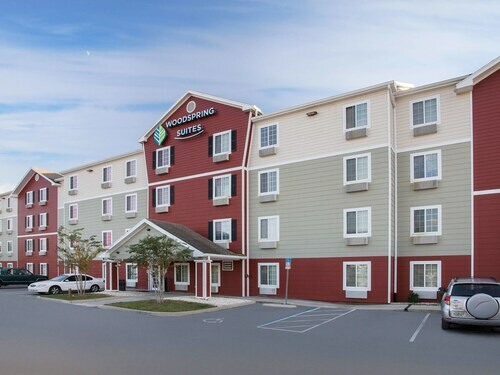 Situated near the airport, this hotel is within 3 mi (5 km) of Wayne Dench Performing Arts Center, Sanford Museum, and Lake Monroe. St. Johns Rivership and Fort Mellon Park are also within 3 mi (5 km). Situated near the airport, this hotel is within 1 mi (2 km) of Wayne Dench Performing Arts Center, Sanford Museum, and St. Johns Rivership. Lake Monroe and Fort Mellon Park are also within 1 mi (2 km). 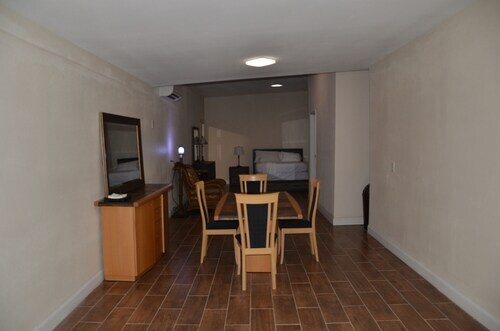 Situated in Sanford, this apartment building is within 2 mi (3 km) of Wayne Dench Performing Arts Center, Sanford Museum, and St. Johns Rivership. Lake Monroe and Fort Mellon Park are also within 2 mi (3 km). 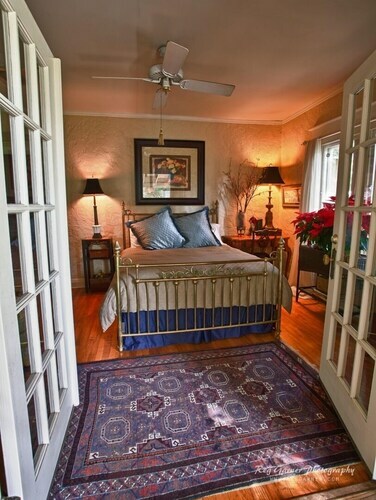 Situated in Sanford, this bed & breakfast is within 1 mi (2 km) of Lake Monroe, Fort Mellon Park, and Sanford Museum. Wayne Dench Performing Arts Center and St. Johns Rivership are also within 2 mi (3 km). 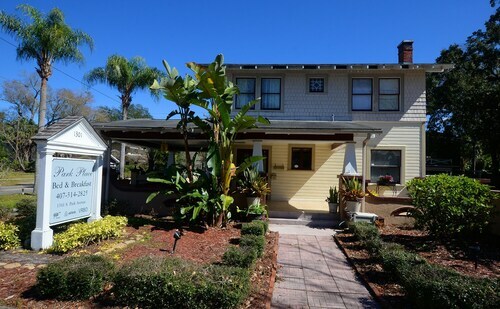 Situated in Sanford, this vacation home is within 1 mi (2 km) of Wayne Dench Performing Arts Center, Sanford Museum, and St. Johns Rivership. Fort Mellon Park and Lake Monroe are also within 1 mi (2 km). Situated in Sanford, this property is within a 15-minute walk of Wayne Dench Performing Arts Center and Sanford Museum. Fort Mellon Park and St. Johns Rivership are also within 1 mi (2 km).